Not one, not two, but as many as four puzzle games in a single box is a real treat for puzzle lovers! After arrangement of all the pieces, we get four images each showing PJ Masks team images. The set perfectly meets the expectations of siblings - all will work out their own favorite image, even at the same time. The diverse number of the pieces allows playing the game for both the younger and slightly older children. An additional variety of fun can be derived from arranging the puzzle against running time, comparing images or searching for differences and similarities. Its beautiful graphics and the ability to create together with other players are the reasons why children love playing puzzles. 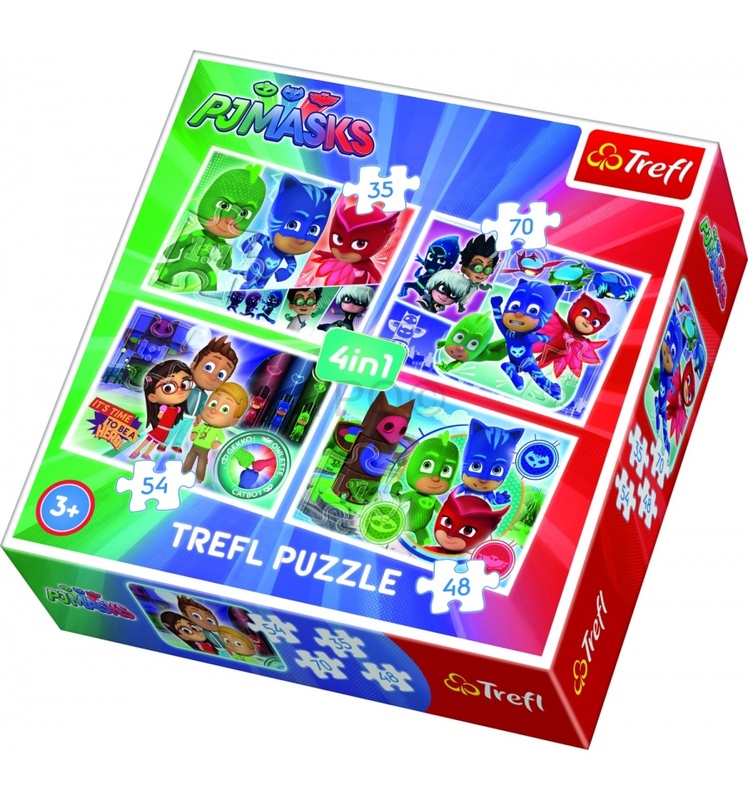 The box contains four puzzles: consisting of 35, 48, 54 and 70 pieces. Premium quality is achieved by using appropriate thick cardboard, a special non-reflective layer, and puzzle pieces? perfect fitting.